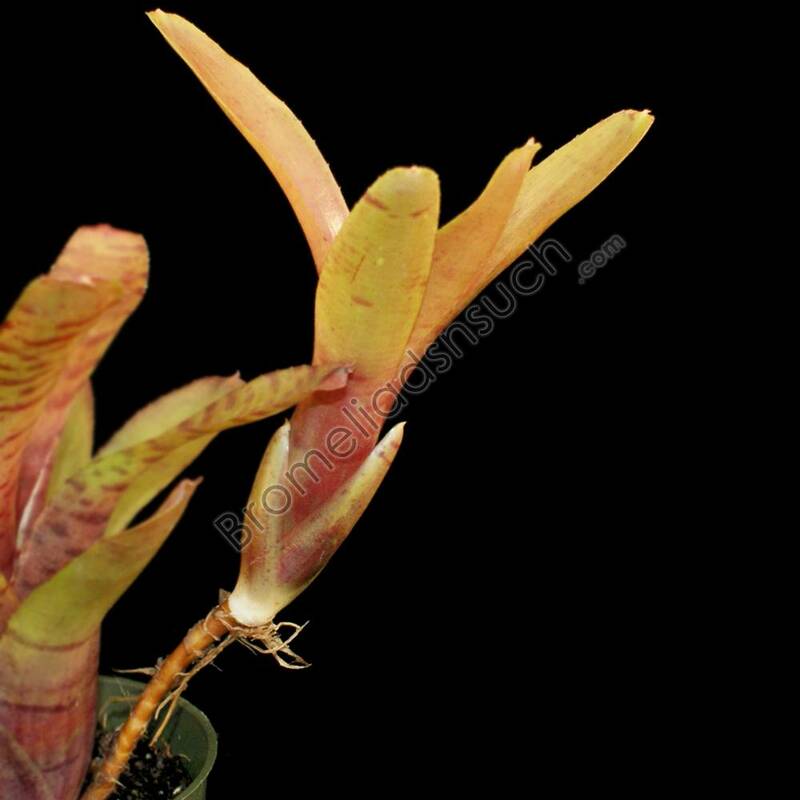 Neoregelia 'Rubrifolia' is a specie from the state of Espirito Santo, Brazil. 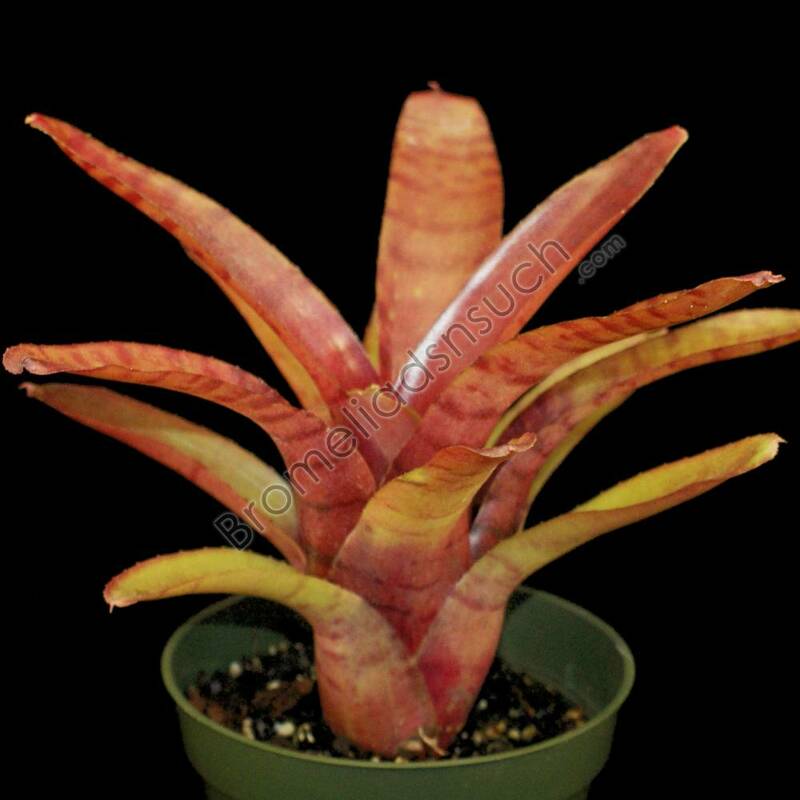 The plant is small, reaching 7 inches wide with light green colored leaves with maroon banding, getting more intense if grown in bright filtered light. A great small stoloniferous plant. 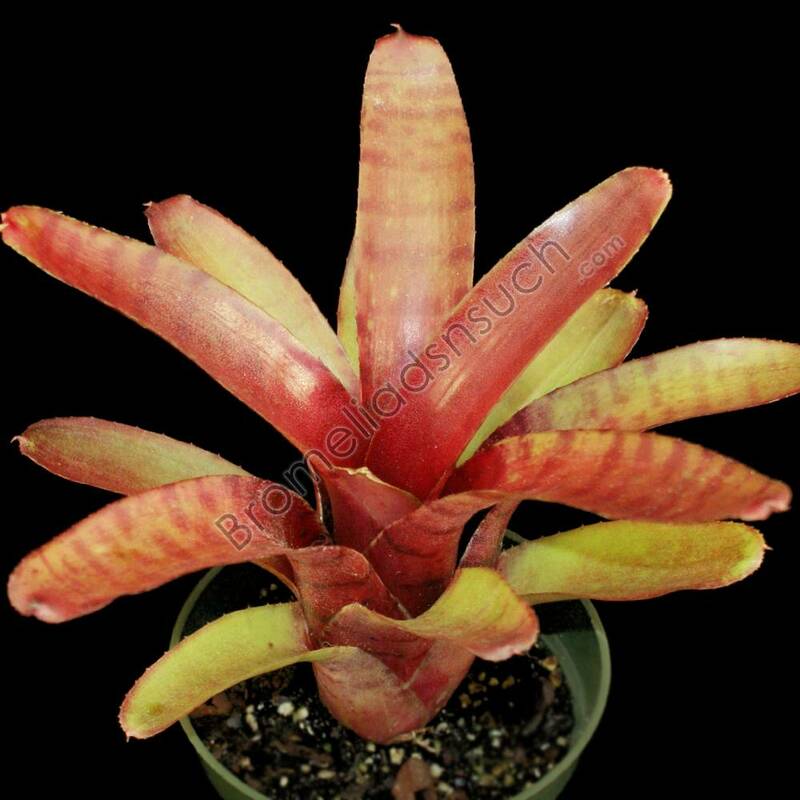 Neoregelia 'Rubrifolia' is a specie from the state of Espirito Santo, Brazil. The plant is small, reacheng 7 inches wide with light green colored leaves with maroon banding, getting more intense if grown in bright filtered light. A great small stoloniferous plant. Mature Size: H:7" x W:7"
Mature Plant or Offset? What's the difference and which one is right for me? A mature plant is an established, almost full grown plant, usually with nice color if grown in proper light. Ideal for those who want a "finished" plant whether it be for a terrarium, landscape, a collection or a gift. We almost never ship plants that are in the middle of flowering so you can enjoy the bloom. An offset is a shoot that develops at the base of the plant, rooting to form a new plant identical to its parent. Also called a "pup". Most offsets have none or very little visible root system and usually have very little color. Offsets are recommended for those who want to grow them up to mature plants themselves.